Peyton is a stout bull with muscling to spare. His offspring have what we call the Peyton Look. The quality within his offspring is very consistant. His sire LTL Dillion was the 2005 National Chanpion Fullblood Bull and his dam Miss Jet's Rapheal 258K is known as one of the best donor cows in the breed. Peyton's show record is two Division Championships in Aberdeen Competition and one Reserve Division Championship English & Exotic in Open Competition at Brazoria County Fair. Herd sires are the foundation of a good herd of cattle. We have selected some of the best herd genetics within the breed and have developed an outstanding battery of bulls. All bulls have been selected for structural correctness, quality of offspring, genetic traits, and usefullness in commercial cattle production. Genetics packages are available on all bulls listed, contact us for more information. Megamark is a tall bull with lots of natural width and muscling. His calves are very consistent and have excellent qualilty. This bull breeds animals that are better than him consistantly. His pedigree is rare for the American Aberdeen breed and would make an excellent outcross. Zoom is the next great Aussie import! He is 52 inches tall and weighs in at 1800 lbs. Zoom is a great bull for improving carcass scores in beef production and has an equally impressive show record. 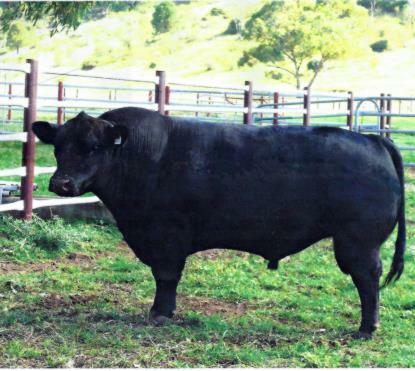 He scored an 8 for feed efficiency and an 8 for tenderness on GeneStar in Australia. 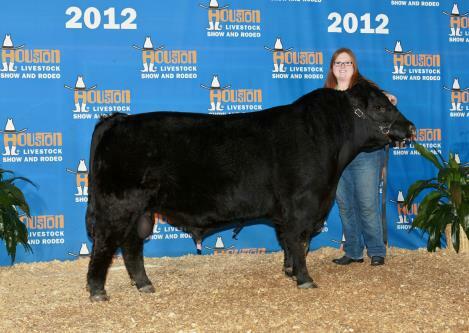 He is in the top 1% of all bulls tested for tenderness in the United States. Zoom offspring are proving themselves in shows and carcass competitions across two continents. 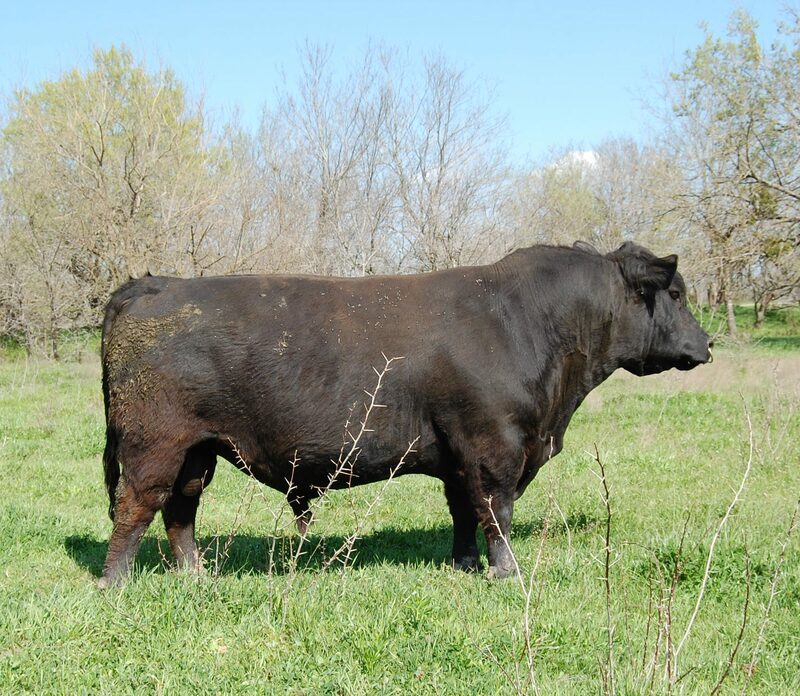 His size and fleshing ability will improve beef quality and efficiency in any herd. Photo credit: better photo is being taken in Australia soon! Owned in partnership with Rocking B Farms in Needville,TX.